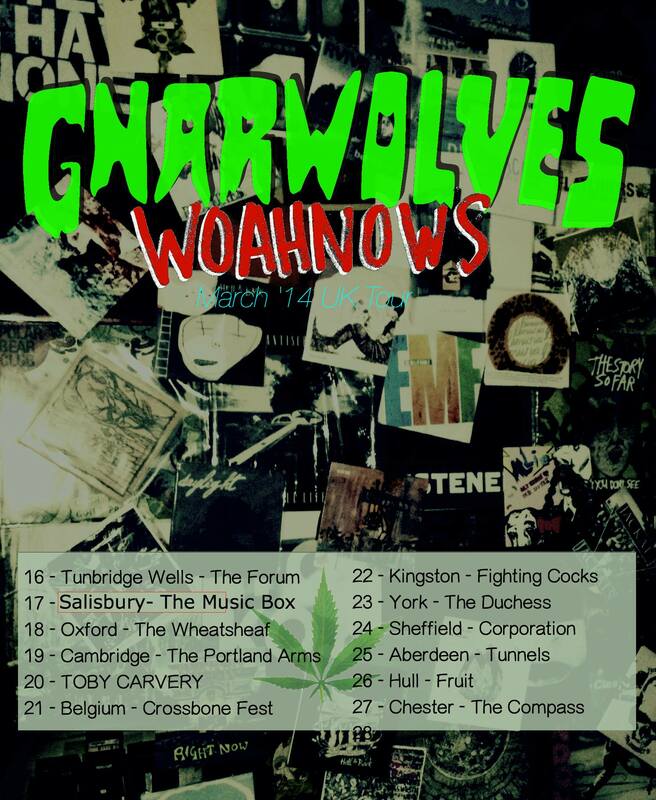 Gnarwolves have announced a UK tour in March with Woahnows. They'll be hitting a bunch of towns they've never played before and then heading to Ireland for the first time, with the Winter Passing. Tickets are on sale today .